Written by Case Manager, Antole T.
During the month of April and throughout the year, communities are encouraged to increase awareness and provide education and support to families through resources and strategies to prevent child abuse and neglect. Abuse and neglect take a long-term physical and emotional toll on individual children, their families, and the communities in which they live. It costs more than $128 billion each year. In 2018, there were more than 700,000 confirmed victims of child abuse and neglect in the United States. Hundreds, even thousands, of American children’s lives can be saved each year by protecting those at highest risk for death due to abuse and neglect. By many measures, our communities suffer from the exponential growth of traumatized children impacting our schools, public health, and public safety. The economic impact of generational child abuse and the ever-increasing numbers of mothers without parenting skills, children with serious mental health problems, and inadequate coping skills is making America poorer and more dangerous. Chambliss Center for Children, along with other local organizations, are continuing the prevention work by informing, teaching, and training the families within our community. The video linked below shares how Chambliss Center for Children is an ongoing gateway to ending the fight against child abuse by providing keys resources that help install safe relationships for our children and foster families within our community. For additional resources and trainings, visit our website, www.chamblisscenter.org, and www.cachc.org﻿. One of our Case Managers, Melissa Hand, recently sat down with one of our foster parents and interviewed her about her experience with fostering. Read below for her story. Melissa: How did you get into fostering? Sharon: My niece, that I raised as my own since third grade, encouraged me to foster when she and my daughter both moved out. She did not want me to be lonely. I started with teenage girls, but after some time, I decided to take boys instead. I have fostered over 50 children in 18 years. Melissa: What are some of the most important things you have learned? Sharon: Have a backup plan for help, especially as a single foster parent – my significant other helps with picking up kids and serves as a mentor and a father figure. I also expect kids to be kids… my house is “lived in”. Also, don’t take things the child does personally, they are acting on what they’ve learned from their family, or because they are upset about their situation. Melissa: What are some tips for working with birth parents? Sharon: I have to earn their trust and build relationship with both the children and their parents. Birth parents will be watching everything you say and do. Just be yourself and encourage them. I give the parents my number (*optional*), and allow them to call me about their children. I brag to them about their children and remind them that I am not trying to take their child from them, just to love them and keep them until they can work it out to get them home. I encourage them to do what they need to do to get their kids back, and let them know they can always call me to get advice, encouragement, and sometimes, assistance. Melissa: How can you help a child acclimate to your home, considering their trauma history? Sharon: I help them ease into my home by watching TV or playing family games together, especially if I have another foster child in the home. That helps. If they want, I take them to a restaurant that is similar to their culture or one that they love. If they are really nervous, I joke with them to break the ice. I asked one teenager if he was scared and he said “yes”, so I asked him if he bites… He looked at me funny and said “No” … then I said, “Neither do I, So, we’ll be alright!” This made him laugh and it really helped. You have to keep a sense of humor! I’d like to thank Sharon for sharing her experiences with us! If you are interested in fostering, please contact Chambliss at 423-693-2580, or email fostercare@chamblisscenter.org. In November, the movie, Instant Family, was released in theaters, and viewers got a look at what it’s like to become foster parents. Starring Mark Wahlberg and Rose Byrne, the two parents decided to foster a sibling group of three children, and the movie shows a glimpse of the process of becoming foster parents, receiving a placement, and all of the joy and trials that come with fostering. After our Residential Staff went to go see the movie, we asked some of our case managers about how the movie compared to real life fostering and adoption. If you’ve ever considered fostering, please contact Chambliss Center for Children at 423-693-2580 or email fostercare@chamblisscenter.org. The agency will be offering PATH (Parents as Tender Healers) training, the required training to foster in the State of Tennessee, each quarter. Chambliss Center for Children began its Transitional Living Program just over a year ago. The program is designed to assist youth “aging out” of the foster care system. We started by purchasing one duplex and then building two new duplexes. As we wrap up this first year, we are finalizing the renovation of two additional duplexes and an apartment, giving us the ability to serve 11 young adults. Programs like this help youth who have been in foster care transition into adulthood, providing them support in this critical stage of life. All participants in our program must be in school and must have a part-time job. We are here to encourage them, challenge them, and help them navigate life as an adult. Please watch the following video to hear from one of the young ladies in our program. If you would like to learn more, please visit www.chamblisscenter.org/transitional-living. May is National Foster Care Month. With an estimated 1,000 children in the Tennessee Valley in state care at any given time, there is a critical need for quality, loving foster homes in this area. Chambliss Center for Children will host a free Foster Care Info Night on Tuesday, June 5th for those with an interest in fostering. The event will feature a short film on a child’s experience in foster care and the value of a loving, safe foster home. There will be an opportunity to learn more about Chambliss Center for Children, the foster care system, requirements for fostering, and to hear from current foster parents. This is a no-pressure event. The goal is to provide information and answer questions. Kindly RSVP to 423-693-2580 by Friday, June 1st, so accurate preparations for refreshments may be made. Child care is also available, but must be scheduled by Friday, June 1st, as well. 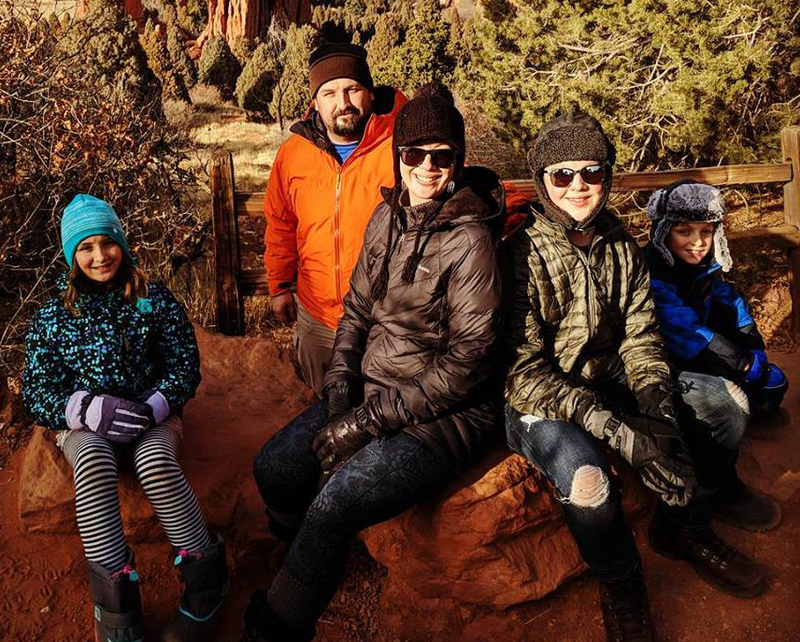 In 2015, Chris and Rachael, two full-time working parents with three biological children, decided it was time to add a little more adventure to their lives by becoming foster parents. Prior to embarking on the fostering journey, Chris and Rachael talked in-depth about the possibility with all of their biological children. “While Chris and I felt led to begin learning about foster care, we knew that making this commitment to get involved would impact all five of us. It was important to us that each of our children were on-board and understood what this journey could mean for us. We actually brought our children with us to our first informational meeting at Chambliss so they could ask their own questions as well.” explains Rachael. In 2016, this family of five became a family of seven – two different times! The first to share their home and receive their love were two sisters. They were only with the family for a few weeks before being returned to their birth mother. Their second placement, two brothers, came just before Christmas in 2016. These precious boys were with the family for several months before being reunited with their older two brothers and returned to their parents. “Saying goodbye isn’t easy on any of us. No matter if they are in our home for a few weeks or many months, they become part of our family. I just have to be the best brother I can while they are in our home,” says Eli, Rachael and Chris' 15-year-old son. Many adults enter the world of fostering worrying about the time when foster children will leave their care, unsure of how they will be able to handle it emotionally. When that time comes, it will also have an impact on the biological children in the family. That is why having conversations with your biological children before beginning the fostering process is so important. Entering this life-changing process affects the entire family, and laying out all feelings and concerns ahead of time can help when trying to navigate the daily joys and challenges that come with fostering. Below are a couple of links to stories from biological children about their fostering experiences. The Department of Children’s Services is also now offering a training session called Impact of Fostering on Biological Children. If you are interested in learning more about this training, please contact Jennifer Davis at jldavis@chamblisscenter.org. Justin and Christin Ownby have been married for 7 years. Through Justin’s work as a Youth Pastor, he and Christin have spent years working with children. They both had a desire to foster, even before thinking of having children of their own. They each have family members who have been touched by adoption in some way. A little over three years ago, shortly after they were approved to foster, they received a call from Chambliss Center for Children about a sibling group of three. Without hesitation, they said yes. A few months later, they added the sibling group’s newborn baby brother, and became a family of six! As we enter the holiday season, please keep in mind all the children who need stable, loving homes. If you’ve ever considered fostering, please contact Chambliss Center for Children at 423-693-2580 or email fostercare@chamblisscenter.org. The agency will be offering PATH (Parents as Tender Healers) training, the required training to foster in the State of Tennessee, from January 11 through February 22nd. Visit https://www.chamblisscenter.org/events/2018/1/11/path-training for more information on the training sessions. In Hamilton and the surrounding counties, there are more than 1,000 children in state custody at any given time. These children have been removed from their homes because of abuse, abandonment, neglect, or they have come through the juvenile court system. Chambliss Center for Children contracts with the state to find loving, stable foster homes for these youth. Finding a permanent home for these children is the ultimate goal, whether with their biological parents - if the parents can complete the steps needed to regain custody of their children - or with other family members. However, approximately 20% of these youth end up becoming available for adoption. November is National Adoption Month, specifically adoption through foster care. In an effort to provide the community more information on the fostering process, Chambliss Center for Children will host a free Foster Care Info Night on Tuesday, November 14th from 6:00 to 7:30 p.m. The event will be held at Chambliss Center for Children, located at 315 Gillespie Road. Attendees will view a short film about a child’s experience in foster care and the value of a loving, safe foster home. There will be an opportunity to learn more about Chambliss Center for Children, the foster care system, requirements for fostering and adoption, and to hear from current foster parents. Michelle and her husband Dan became foster parents years ago. They adopted two children who are now adults. 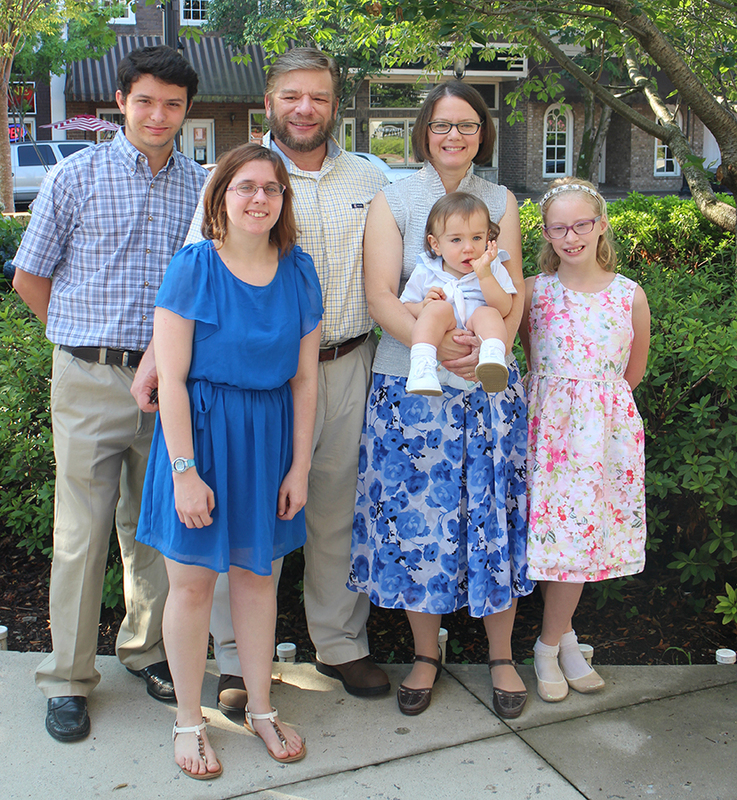 In October 2013, they began fostering with Chambliss Center for Children. Since fostering with Chambliss, they have had two placements which both turned into adoptions. They have also provided respite care on numerous occasions. Children who enter the foster care system have experienced trauma. Some more severe than others. Michelle and Dan foster because they want to help these children who have had significant hurtful experiences developresiliency and hope for their future. Michelle has a Master’s Degree in Social Work. She is certified to teach PATH (Parents As Tender Healers), the foster parent training curriculum. Because of her education and experience fostering, we asked her to share her thoughts on trauma and resiliency. Children coming into foster care need parents who are willing to learn about how to effectively parent a child who has experienced trauma and loss. Trauma may take many forms, including neglect, abuse, abandonment, violence between caregivers, natural disasters and accidents. A child who has experienced trauma is always "on alert". Their behaviors are a direct response to this. As a foster parent, we are blessed with the opportunity to not only work with the child, but to also work with the birth families. These families are broken (or maybe cracked). They need our support and encouragement as well. Many of the birth parents have themselves experienced trauma and do not have the skills of how to help their children as they cannot help themselves. It is important to learn about how "triggers" can affect a child's response to what we might see as a normal event or even just a mild irritant. As a foster parent, if we are open and willing to change and learn and grow in regards to how we interact with and parent the children in our care, they WILL grow, blossom and become adults who are empathetic and positive contributing adults in our community. One of the best ways to strengthen and provide a safer community is to take responsibility in the outcomes. Our children are our outcomes. Children come to us with a tremendous amount of resiliency. They are able to overcome the trauma they have experienced. They can become even stronger for it. For a very realistic depiction of trauma and resiliency, watch the movie, "ReMoved". It demonstrates the many aspects of what a foster child experiences and how they can heal. They show the trauma, triggers, the resilience and hope of a girl, Zoe, and the foster mom. If a child has hope, they have resiliency and a future. We as foster parents have the opportunity and privilege of further developing resiliency and hope for a child and their future. If we as members of our community are not willing to reach out to the children and families in need, our community will not flourish and grow. Our community will become riddled with hopelessness, violence and other poor outcomes. We cannot say, "Someone else will do it". Those "Someone elses" are already doing it and we need help! We need more "Someone elses". We need people to invest in their future. There are many ways to assist in foster care. Not only being a foster parent, but there is a need for churches and communities to surround and support foster parents. If you would like to learn more about fostering or how you can help, please contact us at 423-693-2580 or email fostercare@chamblisscenter.org. Welcome to Chambliss Center for Children’s Foster Care Blog! The purpose of this blog is to express the need for loving foster homes in Chattanooga and the surrounding southeast Tennessee counties, share personal stories from some of our current foster parents, allow readers to hear from youth being fostered through our program, provide information to the community on our transitional living program for youth aging out of the foster care system, and spotlight some of the wonderful staff we have at our agency who make caring for the community’s most at-risk children their top priority. To kick things off, we asked some of our current foster parents why they decided to take the leap in to fostering. We hope their stories inspire you to foster the future of a child.